Planning a weekend getaway and have shortlisted Kochi as one of the locations? 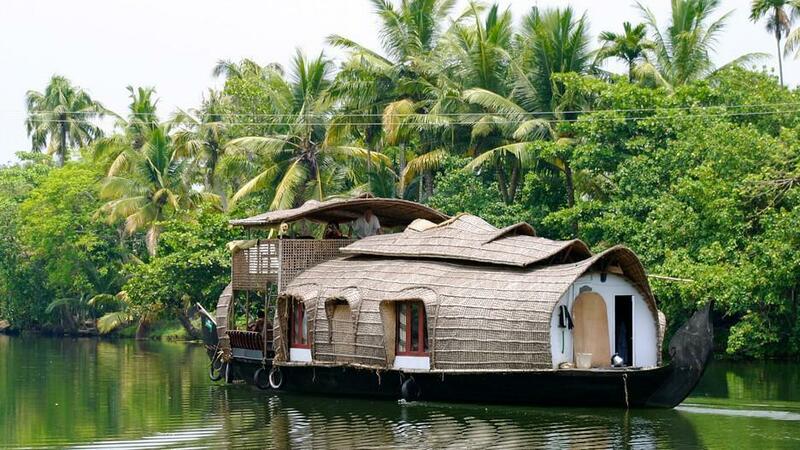 Read this article to know how Kochi fares on a travellers guide, what all is here to experience and see and if it is really the worthwhile place you want to plan your getaway to? In this perpetually frustrating life, take a leave from your daily schedule and try enjoying a few moments. It is necessary for us to take out some time for ourselves to do the things we love and weed out all the worries of your life. Unfortunately, it is not always possible to do so because of our hasty lives. Being in India, which comprises such a variety of terrains it is not hard to find a place best suited for you. With just two days in hand, the prudent choice to find solace will be to get away on a weekend trip and make the most out of it. Also known by the epithet, 'Gods Own Country', Kerala is one of the most breathtakingly beautiful states in the country and resting on the south-west coast of the state facing the Arabian Sea, is the embarking Kochi. Being one of the leading ports to trade spices out of India, Kochi was also known by the pseudonym 'Queen of the Arabian Sea'. It also exhibits some of the few quintessential and picturesque sights nature can project. Filled with tourist attraction spots and spellbinding sights, Kochi is a perfect match for a getaway weekend. If you are visiting Kochi the sunset cruise is absolutely an indispensable experience. The cruise filled with tourists will take you on a 2-hour long journey in the evening. When the cruise starts heading towards the shipyard, many warships from the Indian Navy can be seen anchored at the naval yard. As the trip continues, the Bolgatty Palace located on an island known by the name of its palace itself can be seen. The Bolgatty Palace is an exquisite example of the finest piece of architecture in Kochi. In the midst of enticing green gardens and a vast serene Sea under the azure sky is one of the most pulchritudinous and compelling places you can find yourself. If you are looking for a premium stay, you can spend a night at The Lalit Resort & Spa Bekal one of the finest resorts in Cochin. Another remarkable experience is watching the Chinese fishing nets. The fishing technique is an antique one. It is believed that this is one of the most non-violent fishing styles used as the fishes swim into the nets on their own. The sunset cruise ends with featuring a beautiful bright sun slowly setting behind the calm sea and the sky slowly changing colours and eventually blending into darkness. The moment you enter Fort Kochi, you will find yourself entering into a different era. The place allures a vibe of its own because of such diversity in its culture. You can also visit a few other places like the David Hall or St. Francis Church, the oldest Church in India, where the legendary explorer Vasco-da-Gama was buried. MG Road and Mattancherry are two market areas thronged by the tourists making it perpetually busy and tiring. Mattancherry streets are filled with different colours and textures of spices. There is also a museum full of antiques which were a gift from the Portuguese to the Raja of Kochi, known as the Dutch Palace Museum. The MG Road is the commercial centre of Kochi. It is filled with embroideries, handicrafts, clothing, decoratives, etc. at a cheap price; indispensable for every shopaholic. Some of the best restaurants in Kochi are located here. The market area lits up the place and spreads around a warm colourful vibe which makes the place livelier. Thanks for sharing such kind of post. It is so much beautiful. I wish to visit there soon. Surely this blog helps me lot. I have read your blog. it's amazing. Thank you for sharing this kind of informative information. Kochi is best and appropriate destination for travel lovers during this time period. There are many places where we can visit and get a lifetime experience.